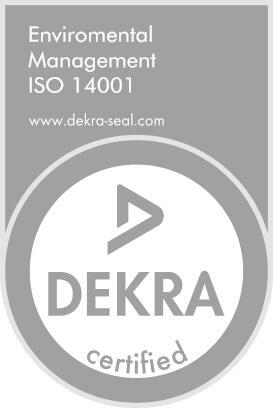 The EMS implemented and certified according to the ČSN EN ISO 14 001:2005 standard makes it possible for the company to achieve a high level of environmental protection as a whole. The system enables the company not only to monitor pollution, but also to identify its causes, and prevent pollution within production technologies to the maximum extent. In environmental protection we focus not only on the production outputs, but also on the production inputs and their usage efficiency. BRISK Tábor is also involved in the collection associated compliance system of EKO-KOM, a.s. It thus fulfils the obligations related to ensuring the take-back of used packaging from the consumers and their recycling or elimination of waste from the packaging. Since 2013, BRISK Tábor has joined the “Green Company” project of the company REMA Systém a.s., which ensures the organisation of the collection, grading, recycling and management of electrical waste in the whole Czech Republic. The project aims to protect the environment through secure and effective take-back and recycling of unnecessary electrical equipment. The project provides an environmentally friendly way to dispose of old electrical appliances and batteries free of charge and this option is also offered to the employees. The company is moving from a system of investment in environmental protection to prevention strategies in the area of environmental protection. Higher production efficiency, not only reduces the negative effects on the environment, but also increases the competitiveness of our products and the strengthening of our position on the company’s domestic and foreign markets. The thinking and proactive approach of the company and employees to the environment in which we live and do business is also changing. The main reason for this are the significant legislative changes that have occurred in recent years. This is further accentuated by the fact that our country is a Member of the EU. This has a significant impact on every business entity in the entire range of its activities, including the environmental field. If our company wants to run a successful business, it must also cope with the demands placed on it by the sum of the legislation in the field of environmental protection. While ignoring this reality would result in conflict with the requirements of legislation and sanctions, which will certainly rather increase in the near future. At the same time, actual legal compliance in the absence of a vision, goals and strategy on the part of BRISK Tábor shall not ensure long-term development. That is why the environmental and quality management systems are integrated in a complex procedure. The above objectives and the facts constitute one of the top priorities of our company. The environmental and energy sector is a natural complement to the participation of every employee of BRISK Tábor in the system and process, every instance of teamwork, every innovation, ethical behaviour and pride in the working skill and a sense of belonging to the company.